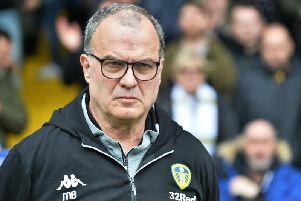 Phil Hay: Can Leeds United and Marcelo Bielsa afford a quiet January window? Harvey Barnes’ performance for West Bromwich Albion last Saturday reminded Leeds United of the prize they could have won. They were so close to signing Barnes in July that the club thought they had him. He travelled to Thorp Arch and got to the stage of discussing a squad number, the last leg of a transfer for any player who lacks Cristiano Ronaldo’s brand awareness. Then West Brom dialed in and made a bid of their own. Barnes, who Leicester City had made available on loan, saw more appeal in that offer and in a temporary transfer which kept him closer to home. That was the week in the transfer window when Leeds began tearing their hair out; when Victor Orta, their director of football, broke his mobile by throwing it against a wall. Harvey Barnes scores West Brom's third goal against Leeds United on Saturday. Not every deal which goes south like that is an opportunity missed. Barnes was Leeds’ next move after Derby County beat them to Florian Jozefzoon – another player who intimated a willingness to sign but u-turned as he prepared for a medical – but Jozefzoon has been in and out at Derby and mentions of him in dispatches suggest Leeds dodged a bullet. “I’m happy he didn’t come here,” Andrea Radrizzani said in August. The club’s owner will be happier now. The long and short of that thankless process was that Leeds brought in Jack Harrison, a left-footed winger who can play on the right and who Marcelo Bielsa talked Pep Guardiola into letting him have. Leeds finished last weekend’s shellacking at West Brom with Harrison on the left wing and Gjanni Alioski behind him, a pairing which sacrificed the running of Barry Douglas, and the comparative impact of Barnes in Harrison’s position gave a vision of the team United could be with more vibrancy out wide. It was particularly relevant since two days earlier, Bielsa had given the impression of a head coach who expected the January transfer window to be relatively inactive and sedate (not that January windows at Leeds have ever been a source of wild expenditure). “It will be very difficult to add new players in January,” Bielsa said, although he did not explain what that difficulty related to. 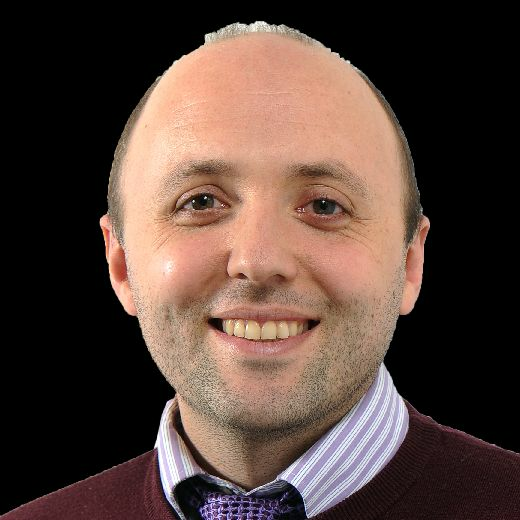 Leeds are not a cash-rich club, as Radrizzani conceded after using Ronaldo Vieira to help finance the signing of Patrick Bamford, and there has been no hint of major investment to come this winter but there are other factors with Bielsa too: the size of the squad he wants beneath him (small by the standards of most Championship coaches) and the extent to which he wants players in his team to be physically fit and coached. The severe congestion at the top of the Championship begs the question of whether Bielsa can really afford a quiet transfer window. Bielsa leaned towards Bailey Peacock-Farrell in his choice of goalkeeper in part because Jamal Blackman came from Chelsea midway through pre-season, without the same conditioning. Blackman spent time getting up to speed and by the end of the summer he had barely played. There are keen eyes on Peacock-Farrell’s form after his concession of the second goal at West Brom but of all the outfield positions in Bielsa’s line-up, the scope for improvement seems greatest on the left flank. Bielsa is devoted to Alioski in that role and Alioski’s performances create a contradiction between what the numbers say and what many are seeing with the naked eye. The winger has been responsible for more chances than anyone at Leeds this season and can take credit for six goals but he has not scored since August and has chipped in with only one assist since United won away at Derby. In the flesh, his effort, his graft and his battles with offside flags are not translating into the penetration Barnes gave West Brom on Saturday. It is not happening at any great speed for Harrison either. One goal and no assists is the sum of his effort and he has fewer key passes on his record than Adam Forshaw, who started his first game three weeks ago. He was absent from the bench against Nottingham Forest last month, despite Bielsa confirming he was fit, and it is hard to escape the conclusion that this one has not yet worked out as Bielsa and Guardiola thought it might. Jack Harrison and Gjanni Alioski. In that specific area of the pitch, Leeds can aspire to climb a notch. It is the club’s prerogative, and Bielsa’s prerogative, to stick with their options as they are but not to expect those observing the team to think that the transfer market couldn’t help. Likewise, the strain on Bielsa’s defence was a concern even before Pontus Jansson flew home from Sweden with a foot injury on Tuesday. Jansson carried his injury through to the end of Leeds’ defeat at West Brom and on that basis the club did not expect it to prove serious but Bielsa will be all but out of passable centre-backs if Jansson fails to make next weekend’s game against Bristol City. Leeds wanted him to take another central defender in the summer but were respectful of Bielsa’s view that any signing would be extraneous. They looked closely at Ben White, the young Brighton defender who went on loan to Newport County last season, but accepted that a coach like Bielsa, on £2m-plus a year, required autonomy in the management of their squad. But given the continuous barrage of injuries within his defence – two of which will keep Luke Ayling and Gaetano Berardi out until the new year – even Bielsa might see the value of an insurance policy for the second half of the season. Last January, Wolves did next to nothing in the transfer market. They were nine points clear when it started and had drawn the conclusion that Neves, Jota and others around them were almost impossible to usurp with better signings. Leeds have shown ample promise and direction this season but they are not that team and January has the look of a month where the club should be angling for marginal gains. The severe congestion at the top of the Championship begs the question of whether Bielsa can really afford a quiet transfer window. Liam Cooper and Pontus Jansson.